At Krystal Limousine you will find our Limousines come with a high standard of service which is simply not available elsewhere. Our limo hire fleet is unique and that's why our customers are happy to return time after time. Krystal Limousine is the Midlands biggest Limousine hire Company, which means we're big on commitment, service, quality and choice. Working alongside some of the biggest names in the business we have managed to build a fleet which is untouchable by many other companies. 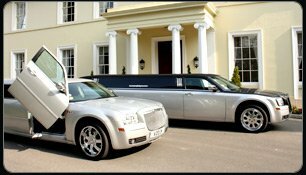 We cover all areas in the Midlands including limousine hire Nottingham. Our limousine hire fleet consist of the following vehicles: H2 Hummer Limousines in white and black Hummer limo hire which can seat up to 16 people. Lincoln Navigator Limos which seat up to 14 people and Chrysler Limousine,Baby Bentley and the Phantom Limousines which seat up to 10 people and Lincoln Towncar Limos which seat up to 8 people. We ensure our clients travel in luxury and style, our limos offer you everything you could possibly need for a comfortable and first class journey with VIP treatment on any occasion for limo hire. Click Here to view Our National Krystal limo hire Nottingham offers the finest in luxury limousines from our super stretched Hummers to our Rolls Royce Phantoms. We have the most extraordinary range of vehicles in Nottingham and offer them at the most affordable rates within the city. We offer our limousine hire in Nottingham for birthdays, proms, Hen nights, Christmas parties and weddings if you want to arrive in true VIP fashion then there is no better than hiring one of our executive limousines, there is simply no better way than to put your stamp and step out with real confidence from one of our limos. All of our limousines in the Nottingham area are fully suited chauffeurs and are some of the finest drivers in the whole of UK; they will be there at your every need and will ensure your safety when travelling with us. We have the newest limousines available at our disposal from the Baby Bentleys which are available in white, silver, black and vanilla on top of that we have the 16 seater Hummer limousines which we have available in white, black and the Triple Axle in silver. We cater for every single occasion's and we work all year round and have worked in the Nottingham area for many years now receiving nothing but positive feedback which can be seen on our website, we also offer great discount in the area of Nottingham and will price match any genuine quote within the area. If there's one car on the road that turns heads it's a limousine. Associated with glamour, wealth and sophistication, it is the ideal way to celebrate a special event or occasion in style. No matter how old you are, nothing quite beats the excitement of riding to your destination in a limousine. At Krystal Limousines, we have an impressive fleet of sleek limousines that will bring a special something to your event. We cater for all occasions including proms, birthday nights out, hen parties, stag nights, Christmas parties, special days out and weddings. We cater to locations throughout the midlands meaning our services stretch from limo hire in Sheffield to limo hire in Leeds. As a special surprise for someone's birthday, wedding or hen night or as a planned joint treat for you and a group of friends for a night out, a limousine can bring a special something to your event. We have a range of different limousines to choose from to suit different tastes and events including a collection of three different Hummer models to choose from as well as a baby Bentley, a Phantom, Lincoln Towncars or a Range Rover Sport. When you book your limousine hire with Krystal, you'll benefit from our wealth of experience in the field as well as our commitment to excellent service, quality and choice. 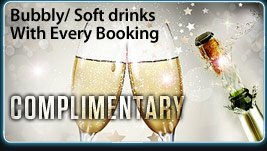 We'll ensure that you feel like a VIP during your time with us and we even offer complimentary bubbly or soft drinks with every booking to make your trip that much more special. We are one of the most reliable and experienced in the business, offering limo hire in Doncaster and a wide range of other locations in the Midlands. We understand that if you're hiring a limo, this is a special occasion and you want things to go to plan. Which is why are dedicated to offering the very best service and timekeeping. For events such as weddings and proms, this is understandably paramount. So if you're looking for limo hire in Barnsley or any of the other surrounding areas, you can be sure that'll you have made the very best choice by booking with Krystal Limousine. With our amazing fleet of limousines for hire, you really do have the best choice to make a lasting impression on your day. 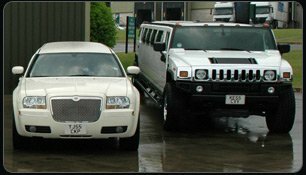 Our limo hire helps you stand out in the crowd with our head-turning choice of vehicles such as our Hummers and Baby Bentley. As well as impressing with their sleek exterior, you'll also enjoy the impressive surround of its interior which offers a CD player, DVD player and TV as well as brilliant surround sound and a bar. Many of our limos feature impressive bright coloured lighting and mood lighting around the ceiling, bar and foot wells that really add to the atmosphere and make great photo opportunities. To make your limousine journey that much more special we can also stock up the limousine to your requirements with extras such as flowers, party bags and wedding decorations at a small extra charge. Just the thing to make your trip that much more special. We cater to you, so whether you need limo hire in Wakefield or limo hire in Chestfield or any other location. We can offer everything you need to make your day a special one and an event you won't be forgetting in a hurry. Call us or fill in our online form to get a quote and see what we can do for you. 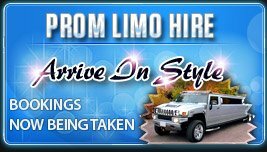 High demand forlimos in the U.S.A during the prom season for super stretch.